Few of us pay attention to the minutiae of coffee stains' deposition patterns. 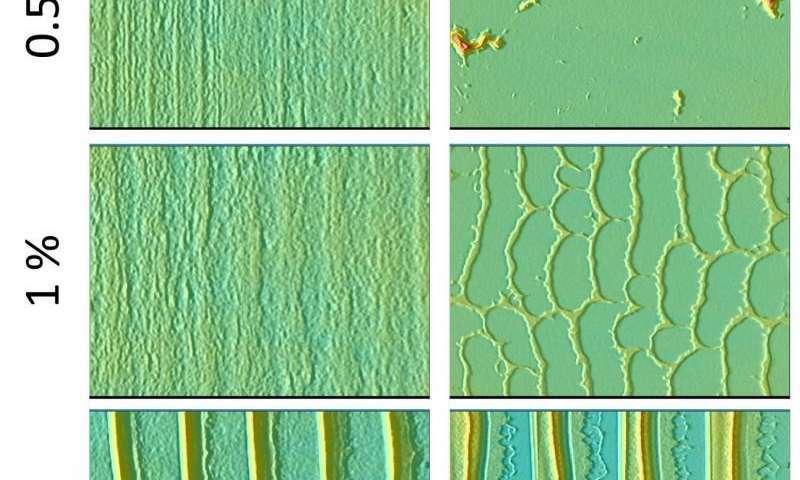 However, physicists have previously explained the increased deposition of ground coffee particles near the edge of an evaporating droplet of liquid. They attributed it to the collective dynamics of ground coffee grains as the liquid evaporates along the contact line between the liquid coffee and the table. This kind of dynamics also governs microchip production, when particles are deposited on a substrate by means of solvent evaporation. However, until recently, explanations of how such evaporation patterns are formed did not account for the effect of the mutual interactions between electrically charged particles. Now, Diego Noguera-Marín from the University of Granada, Spain, and colleagues have found that particle deposition may be controlled by the interplay between the evaporation of the solvent via convection and the previously identified collective diffusion of suspension nanoparticles. These findings appear as part of an EPJ E topical issue, entitled Wetting and Drying: Physics and Pattern Formation. In this study, the authors set out to pump out the nanoparticle suspension to study why particle deposition is driven to recede at the contact lines between solvent and substrate. Unlike typical prior experiments focusing on free drop evaporation, the sustained evaporation was, in this case, not tied to the motion of the contact line at the macroscopic scale, between solvent and substrate, which directed the formation of the final deposit. Indeed, this approach makes it possible to keep the particle concentration constant throughout the entire experiment. When the evaporation flow is weak, the authors found, the deposition of nanoparticles can be suppressed. Then, long-range inter-particle repulsion becomes important. As a result, particle transport is mainly governed by diffusion via convection. However, the diffusion-based flow is only relevant at low particle concentrations, where the concentration gradient between the contact line and the bulk of the nanoparticles suspended in the solvent becomes important.